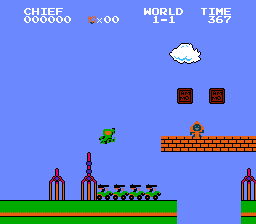 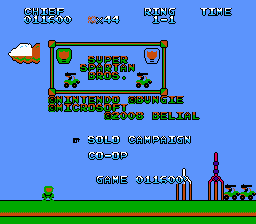 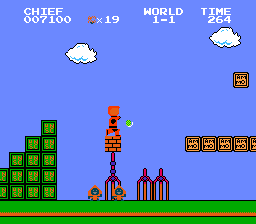 Romhacking.net - Hacks - Super Spartan Bros.
A complete graphic/level hack of Super Mario Bros. for the NES. 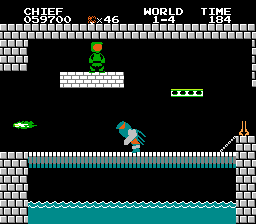 Every character, enemy, and item have been changed into things from the Halo series. 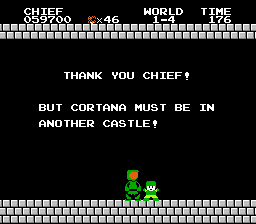 You control Master Chief as he searches for Cortana, who is being held in some Covenant stronghold!